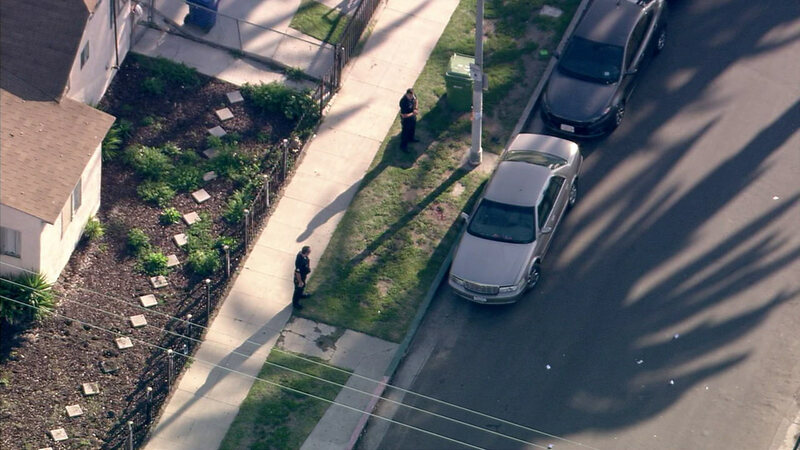 SOUTH LOS ANGELES (KABC) -- An investigation is underway after a man was shot while in a car in South Los Angeles Thursday morning, police said. A woman told police she heard shots fired around 8:30 a.m. in the area of 53rd Street and Normandie Avenue. She then discovered that her boyfriend, who was in a car at the time, was shot. Investigators said four shots were fired - one struck the victim. His condition was not immediately known. Police described the possible suspect vehicle as a Toyota. The shooting was under investigation.